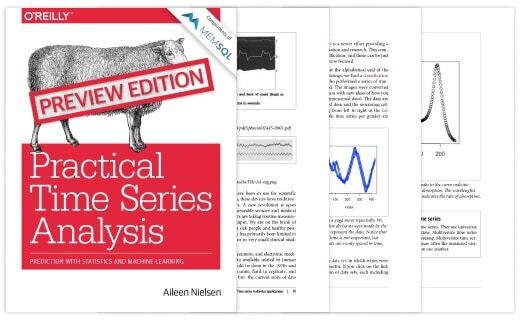 In Practical Time Series Analysis: Prediction with Statistics and Machine Learning, author Aileen Nielsen provides practical guidance working with time series data for the purposes of insights. Learn how statistics and machine learning offer new advantages for time series analysis through real-world use cases. A Historical Perspective of Time Series Data. When time series analysis became interesting and how statistics and machine learning have followed the data. Storing Temporal Data. Describes the requirements for analyzing time series data, comparing and contrasting SQL vs NoSQL solutions along with popular database solutions. Submit the form below to receive chapters 1&2 via email.